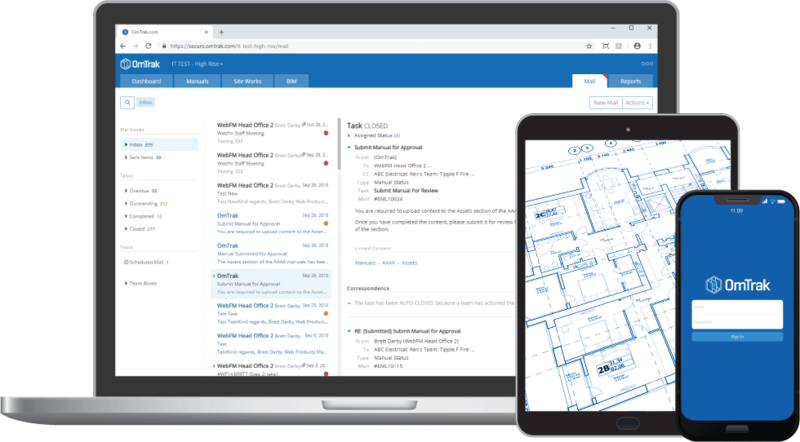 Manage your projects on one central online platform, and simplify every stage from initial design & build through to ongoing maintenance. Streamline the tender process and get fast, accurate pricing from sub contractors. Manage all your documentation in one central place. Progressively create and review the design reports at each stage of the design process. The completed Design Manual is a single, easy-to-read PDF file with links to all attached files. With OmTrak’s BIM module, every project team can quickly and easily access multidimensional project models. Decision-making and coordination is improved across the board. Automatically captures and categorises all email correspondence so you have a complete and undeletable audit trail. Track the status of approvals, defects and data to get visibility over the entire project workflow. Our products have been developed by industry experts and refined over the last twenty years to ensure high quality project outcomes. Our consulting services provide additional support for those that just need a little extra help.